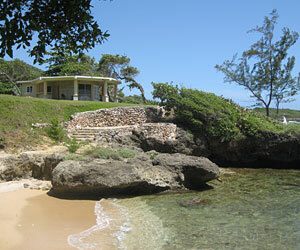 Looking for the perfect girl’s getaway in Jamaica? Imagine a villa high up on a hill surrounded by lush greenery, scented with garden perfume and kissed with a turquoise ocean breeze. 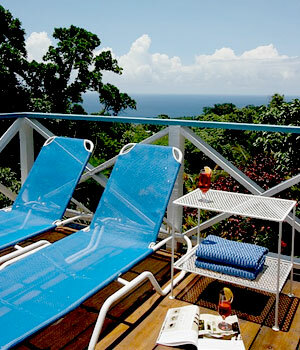 Add in mouthwatering wonderful Jamaican inspired meals, secluded gardens, and people so friendly they feel like family. Then overlay on top of this a strong philosophy of sustainable tourism, and two remarkable hotel owners who understand that thinking green doesn’t have to mean doing without, just doing things differently. A place I call ‘Paradise Found in Jamaica’ or more commonly referred to as Mocking Bird Hill Hotel, a luxurious eco-chic inn nestled into the northeast coast of the island near the town of Port Antonio. Owners Shireen Aga and Barbra Walker’s vision for Mocking Bird Hill Hotel is one of “guiltless indulgence” They believe that hotels should not provide luxury at any cost but should instead concentrate on sustainable luxury. With Mocking Bird Hill Hotel’s full Green Globe Certification and recent silver level award from Virgin Holiday’s initiative for promoting eco tourism: The Travelife Sustainability System; the hotel has proven itself a leader in sustainable tourism in Jamaica. They also provide an unforgettable travel experience for their guests. My girl’s getaway at Mocking Bird Hill was a wonderful combination of pampered bliss at the Inn and exciting adventures in this unspoiled area of Jamaica. I think I had the best room at the hotel, but my sister-in-law and niece, my travel companions on this getaway, insisted that their room was mighty special. Both were large, full of light and delightfully decorated with original artwork, custom designed bamboo furniture, enormous beds draped in mosquito netting and spacious sitting areas. The louvered windows invite you to throw them open and take in the luscious scents and sounds of Jamaica. My room also had TWO patios – each with a view of the grounds and the ocean (see I told you my room was best). The patios were cleverly situated so that you would always have one in the shade and one with sun. In addition to the usual room amenities, we loved the thermos of fresh water – no hideous plastic water bottles in sight! I’m a girl that likes her tea and I discovered that I’m also a girl that likes her Sundowner drinks – both are a complimentary service provided to guests of the hotel. What a wonderful way to end your afternoon in Jamaica, sitting on the veranda sipping tea, eating cookies, or sipping Sundowners or perhaps a bit of both. You know how some massages are fantastic and some are just ok? Candy is the masseuse at Mockingbird Hill Hotel and oh my, it was truly pure bliss. 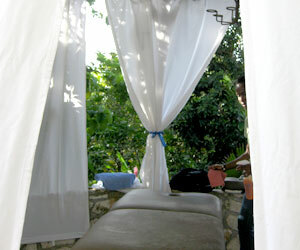 How can you beat a massage in a beautiful secluded gazebo with a private view of the garden? Candy working magic on my tired back while I drank in the views and scents of the garden; unfortunately my time was up all too soon and I had to pry myself off of the table, my muscles screaming no, no we want more! Who knew that an hour could go so fast? Delicious smells and laughter filled the top floor veranda of the Inn where our cooking lesson was held. Barbra and top chef Junior shared with us their recipes for Jerk Spiced Chicken, Escovitch Fish, Pumpkin Soup, and Festival – a Jamaican fried cornbread. Before my visit to Jamaica I had read raving reviews about the restaurant at Mocking Bird Hill Hotel. Praised by Gourmet Magazine and known as one of the top restaurants in Jamaica, all I can say is that it lives up to its reputation. 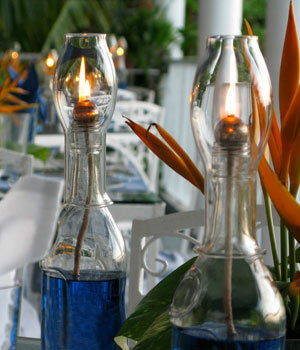 Slow food, Jamaican inspired, a menu that changes daily, locally sourced food, glorious food. Our favorites: homemade breads, coconut garlic soup, eggplant topped with mozzarella, orange-tamarind glazed chicken, caramelized bananas, homemade ice-cream… I ate too much. How can one resist? Waterfalls around every bend of the river, caves to explore and secluded little pools of cool turquoise water for swimming. All this beauty and we were the only ones there, priceless. The drive to Blue Mountain provided tons of excitement, our car twisting and turning up a tiny road hugging the side of the mountain, the hike up to the coffee plantation with our guide Roger (Park Ranger and budding musician) was both educational and entertaining, but watching the clouds drift around us as we visited the plantation and drank Blue Mountain coffee was magical. Long Bamboo rafts, enough rapids to add a little excitement and a stop for some swimming and lunch at Belinda’s Riverside Café. A great day trip. A former hippie commune turned eco-resort. Strawberry Fields Together is located near Robin’s Bay, and in an area of Jamaica that is virtually untouched; you really get to experience the natural beauty of the island. Pretty birds, a walk through Echos Down, and then a picnic provided by Mockingbird Hill Inn, a great way to greet the day in Jamaica. 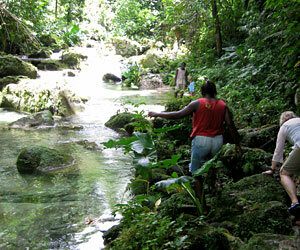 Serious birders would be able to find all 28 endemics birds of Jamaica flying through the lush greenery of this reserve. 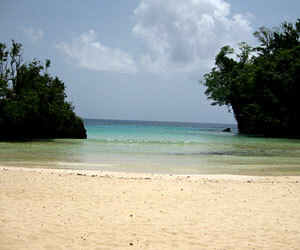 Frenchmen’s Cove beach is a spectacular private beach with a fresh water stream that empties into its ocean waters, making this a great place for a cool and refreshing swim. We spent most of a day lounging, swimming, and exploring the stretch of white sand beach, and during this time the place was practically deserted, absolute heaven! Lounge chairs rentals, drinks and lunch foods are available for purchase next to the beach. To avoid the worst part of the day’s heat we arrived early on a Saturday morning to check out the local market in Port Antonio, The market was full of people selling food and local crafts, we spent the morning chatting to new friends and learning the Jamaican handshake.